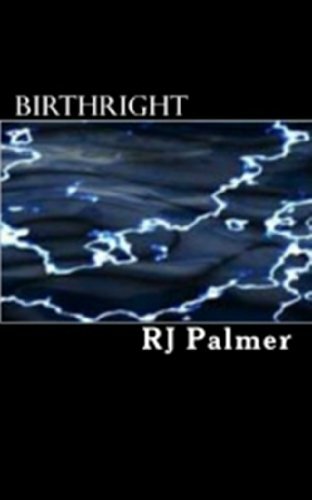 Today I have RJ Palmer, author of Birthright here to answer a few questions related to penning. I wish I had something interesting or exciting to offer here but the truth is my writing routine is pretty much limited to Mozart and large quantities of caffeine. Does anyone realize that according to the rules of the English language that just like the word “weird” the word “caffeine” is misspelled because realistically it’s supposed to be “i” before “e” except after “c” or when it sounds like “a” like in “neighbor” or “weigh”. Not to get off subject but that just occurred to me. The only real absolutes in my writing routine have to do with coffee and Mozart and it’s not because I’m particularly a big fan of Mozart’s music because I honestly think there’s a mocking quality to his compositions, Mozart just helps me focus. Does anyone know that Mozart’s music has been shown in studies to increase communication between neural pathways in the brain dealing with math, science and creative concentration? That’s just an interesting little fact I figured I’d share. It took me approximately six to ten months. Looking back on it, I can’t really nail down any specific time frame; I just started writing it in the winter and finished it around the end of summer or beginning of autumn immediately following. I can honestly say that prior to that I had been trying to justify to myself why I was somewhat shiftless and couldn’t figure out what I wanted to do with my life because I was in my early twenties when I started writing Birthright and I had been living under the impression that I wasn’t under a lot of pressure to make a career move but I still couldn’t rationalize that I was around the same age as a college graduate and still didn’t know what I wanted to do as a career. 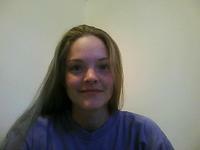 What kind of research did you do, if any? I had to research Colorado winter weather patterns with precipitation and temperature averages as well as the symptoms of a brain tumor. I also had to research exactly what an MRI does because I had a fairly basic idea but no real in-depth knowledge and I interviewed a few people who had actually had an MRI to determine what goes on from the point of view of the person undergoing the procedure. That’s where I found out that the MRI itself as a procedure is actually nerve racking because of the noise and the need to keep absolutely still. I know it may sound kind of goofy, but I really just wing it. I don’t have a specific prewriting routine or set of activities, I don’t outline and I do research as needed because truthfully when I get a book idea I’m really not so sure how it’s going to end because I’m not planning the story out, I’m kind of letting the writing take me where it will. Does that sound slightly imbalanced? My favorite part of writing is in the translation and description because the story takes shape and form as a vivid image in my head and I translate that into imagery on paper. It’s time consuming and tends to be exhausting but it’s also incredibly rewarding and gives me a sense of accomplishment. I’ve also begun to realize that if I don’t get it out and use the creative outlet, I can’t sleep as well and I tend to get cranky and upset easily, probably because I can’t shut down the stuff that goes on in my head. Do you write your book from page 1 to end, or do you jump around? That depends entirely on the book because with the works that I’m writing right now, I’ve started at the beginning however, with Birthright I wrote the first two chapters before I overhauled it a little bit and wrote the prologue and then messed around with the beginning and went from there. I guess it goes to say that I have no specific starting or ending point and absolutely no ability whatsoever to follow a storyline that I’m writing from the beginning all the way through to its conclusion. I can however, with remarkable aplomb get a good book idea, come up with a title and then build the story around the imagery in my head which seems to be a lot like working backwards. I guess all that I’ve said kind of gives credence to the quote that keeps going through my mind by E.L. Doctorow, “Writing is a socially acceptable form of schizophrenia.” My family would likely have a field day with that. I’m R.J. Palmer and I’m told that I should write a little something about myself at which point I should probably tell you that if you slog through this I give you kudos, you’ve done very well. You see, there is nothing the least bit interesting about me and in truth sometimes I believe that I live vicariously through characters of my own creation in which case I should probably seek professional help straightaway. I could bore you with dry facts recited by rote but that would be contra-indicative of my personality type which demands that I at least make this somewhat interesting regardless of the enormity of the task involved. Easier said than done I can assure you. I started writing Birthright because I was bored half insane and I’ve always had an overactive imagination that will go off on the most silly little tangents about anything at all really so it seemed only natural that when I found myself so completely and helplessly at loose ends one winter day that I began to write. Before then I had felt for many a year that I had what I could only describe as a completely useless talent for words though when I opened myself up to the story for the first time it spawned in me an enduring love affair with the written word which has profoundly changed my life. I can now spot a typo from across the room and I fairly consistently offer to rewrite anything that doesn’t have the exact wording that I believe it should and I probably drive my husband completely batty but what can I say, it’s compulsive. But I digress. I had wondered at the possibility for years that something man made and frequently used could alter our very existence. I wondered if it could theoretically happen and what the circumstances surrounding an oversight of this magnitude would have to be and I became so enamored of the idea that I eventually began to become more obsessive than anything. When it came to the point that I could no longer put up with myself I finally set about writing a story that embodied the more dramatic aspects of my creative imagination gone hopelessly awry the result of which was Birthright. I’ve been sitting on Birthright for about eight years and have just discovered the courage thanks to the undying support and strength of the love of my life to actually post my writing though now I leave it to you, the reader, to judge the worth of my work.